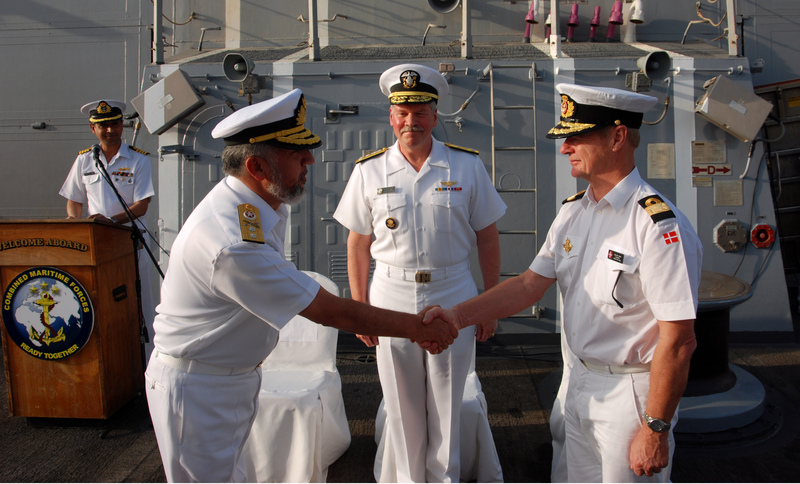 BAHRAIN – The Royal Danish Navy assumed command of Combined Task Force 151 (CTF-151), Jan. 12. 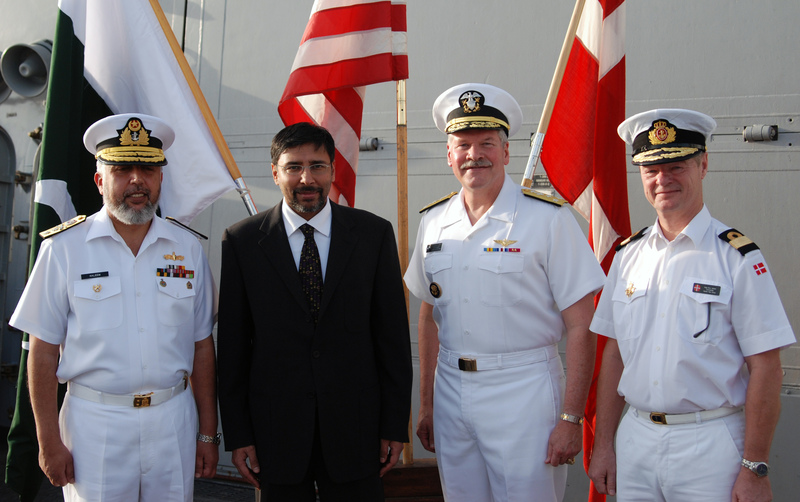 Rear Admiral Kaleem Shaukat of the Pakistan Navy was relieved by Commodore Aage Buur Jensen, Royal Danish Navy, at a formal ceremony onboard USS KIDD of NSA Bahrain, home of the United States 5th Fleet and of the Combined Maritime Forces (CMF). When asked about the success of the CTF-151 Counter-Piracy Task Force, Rear Admiral Shaukat explained that relationships within the Gulf region are paramount. “Besides the naval campaign at sea, we remained engaged with the regional countries ashore to encourage their participation and contribution towards counter piracy campaign, as well as building their capacity to deal with piracy”. Rear Admiral Shaukat also commented that Pakistan’s involvement in coalitions, such as CMF, “speaks of our commitment to the security and safety of the high seas and the pledge to honour our international commitments despite all odds”. Vice Adm. Mark Fox, Commanding Officer, Combined Maritime Forces, praised the excellent contribution of the Pakistan Navy, remarking upon the success of the counter piracy mission under Admiral Kaleem’s tremendous leadership, and the remarkable level of commitment and dedication the Pakistan Navy has provided to the Combined Maritime Forces. Welcoming incoming Commodore Jensen, Fox also noted Denmark’s ongoing commitment to all the maritime forces operating in the region. CTF-151 is one of three task forces operated by Combined Maritime Forces (CMF), a 25-nation coalition based in Bahrain. CTF-151 was established in January 2009 in order to deter, disrupt and suppress piracy, protecting maritime vessels of any nationality and securing freedom of navigation for the benefit of all. CTF-151’s area of operation encompasses an area of 1.1 million square miles in the Gulf of Aden and Somali Basin.